We Pearl Automation, introduce ourselves as a leading manufacturer, trader, service provider, exporter and importer of all type of Control Panel, Servo Drive, Variable Frequency Drive, Human Machine Interface, Analog Inductive Sensor, VFD Repairing Service, Control Panel Repairing Services and many more. We supply panels to Automobile sector, Chemical industry, Lamination industry, Agricultural industry, Medicinal industries Steel industry, Cement industry, sugar industry, distillery, Chemical industry, petrochemical company, cotton yarn Company, Pumps & Motor Industry, Hospitals, Hotels, Educational & Medical institutes, Pharmaceutical Companies, etc. Incorporated in the year 2011, at Pune (Maharashtra, India), we are backed by modern infrastructural base that comprises various departments such as procuring, production, quality control, R & D, sales & marketing and transport & logistics. All these departments are outfitted with requisite amenities and runs under the supervision of highly experienced professionals. Our exporting countries are Dubai, Qatar, Turkey and importing countries are China, Singapore, Germany and Sweden. Being a quality centric organization, our offered panels are manufactured using high grade components. Also, we utilize cutting-edge technology in the manufacturing process and maintain global quality. These Programmable Logic Control (PLC) Panels are used for controlling monitoring, reporting and data logging used in factory automation, process automation. The offered panel range is highly demanded with features such as robust construction, longer service life, easy installation and optimum functionality. We strive hard to achieve maximum satisfaction of our clients by offering panel range in diverse specifications at affordable prices. We make constant endeavours to satisfy our customers & maintain quality standards & high end services in our work. We are supported by modern infrastructural base for manufacturing reliable panels. Our infrastructural base is outfitted all the requisite machinery and equipment. To make maximum usage of installed machinery and equipment, we have selected a team of highly experienced professionals that helps us in manufacturing qualitative range of MCC Panels and PLC Panels. Also, our infrastructural base comprises various departments such as procuring, production, quality control, R & D, sales & marketing and transport & logistics. We have deployed capable team of professional, who work in cohesive manner with one another and with clients in order to fulfill their varied requirements. All professionals are hired after conducting proper recruitment drive in which their skills, experience and knowledge are evaluated. 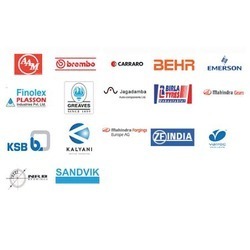 Our team comprises of procurement agents, production managers, quality controllers, R & D experts, storekeepers and sales & marketing representatives. In addition to this, we also conduct crucial training sessions and seminars for our professionals. We are highly appreciated by our clients due to our client-centric approach, reliable product range and timely delivery.